I hate flying for two reasons. Firstly, I'm afraid of heights and turbulence is absolutely hellish. Secondly, I hate overspending on airfare. Flying can be unnecessarily expensive, especially if you don't plan ahead or must deal with inclement weather. Nevertheless, the travel season is almost here and we're always looking for the cheapest, most convenient flight. But what service actually provides you with exactly that? Google Flights is a service Google unveiled in 2011, but one that arrived with very little fanfare. Competitors like Kayak and Expedia believed Google would promote its own service above theirs in search results, but this proved to be unfounded. 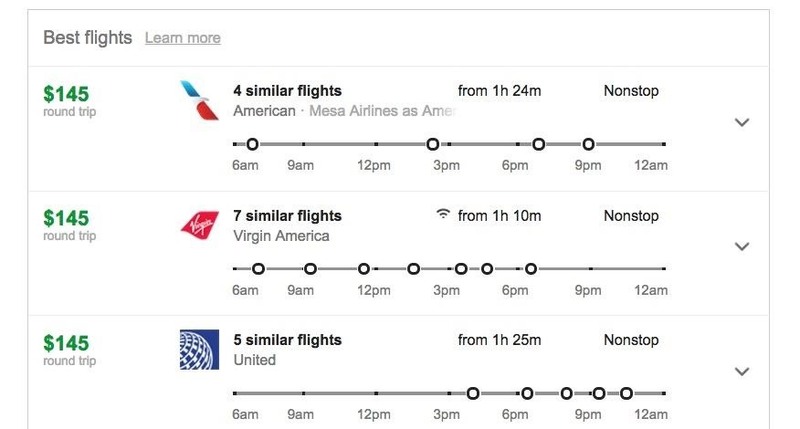 Now Google updated its Google Flights service to bring faster results, more helpful price graphs, and calendar suggestions for the best prices. So is it better than competitors, and does it actually provide you with the cheapest flights? We'll let the results speak for themselves. The test was very simple. I created a round-trip flight plan from LAX (Los Angeles International Airport) to SFO (San Francisco International Airport) departing March 6 at any time and returning March 9 at any time, then compared the results. I used some of the most popular travel sites to give Google Flights a "fare" test. Note that these flights were compared on February 26th, 2015. Google showed the cheapest results from LAX to SFO, but found something I hadn't even searched for or thought of, which ended up being the cheapest option. When comparing all the major travel sites, Google Flights returned the lowest priced flight at $145 with taxes and fees included. But it gets even better—above the best flights section, there is a "Tips" section which gave advice on your current flight selection. I clicked on the bar and was shown a round-trip flight from Long Beach to SFO for $98 dollars flying Jet Blue. That's pretty damn cheap for booking only two weeks in advance. While Long Beach is a little further from my house, the extra gas or catching an Uber wouldn't cost nearly the $47 I'd be saving by choosing this flight. The tips feature is great for providing alternatives to your flight plans that can either save you money or time. None of the other sites had results for this flight simply because I hadn't search for that exact itinerary. Google went beyond my own search query to provide me with an even better option. Do your own test and let us know if Google Flights gets you the lowest fare out there in the comment section below.